KATHMANDU, March 13: While venting ire against the Maoist splinter faction for carrying out various illegal activities such as extortions, looting and setting off bombs, Prime Minister K P Sharma Oli has ruled out any immediate possibility of dialogue with the Netra Bikram Chanda-led Communist Party of Nepal (CPN), which has remained semi-underground since months. 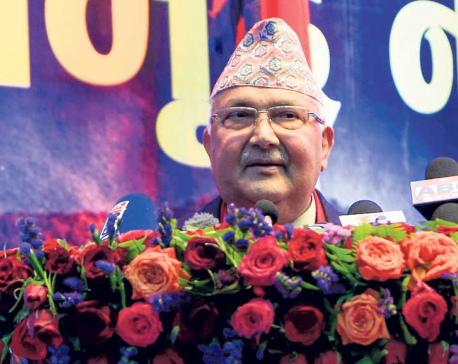 Prime Minister Oli also hinted that the government would get tough with those involved in such activities under the guise of a communist party. Speaking during a meeting with representatives of the Nepal Association of Foreign Employment Agencies (NAFEA) at his official residence at Baluwatar Tuesday, he asked,"What's the point of talking to those resorting to terrorism and violence?" The NAFEA representatives had gone to the prime minister to draw the attention of the government to their need for security after the Biplab-led group detonated a pressure cooker bomb at the residence of their chairman, Rohan Gurung. Prime Minister Oli said there was no point holding talks with the Chand-led group unless they shunned violence and stopped their extortions. “Some have suggested holding talks. Why should we hold talks with them? They demand that they should be allowed to loot the people. Why should we hold a dialogue with those whose only aim is to loot money from others? Shall we hold talks with them to tell them what the limit to how much they can loot is?” he questioned. 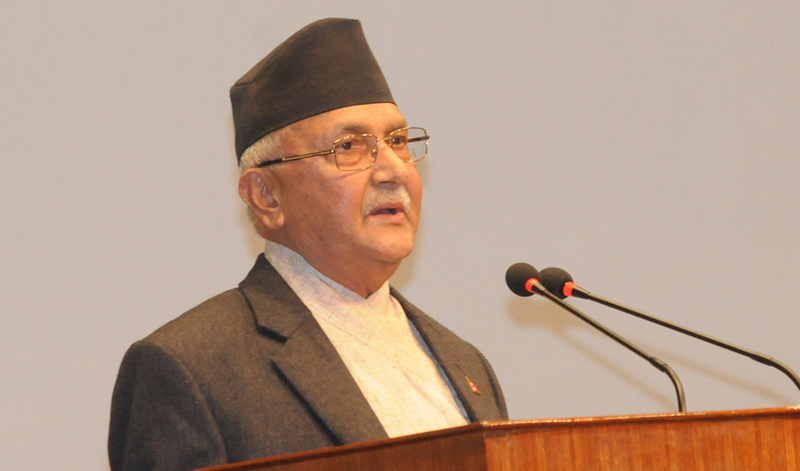 Prime Minister Oli said the Chand-led Maoist group was involved in heinous crimes carried out under a political cover. “Even professional looters have certain norms. They [Chand group] have reached the point where they do not have any rules or norms. They do not care who gets killed. They have no concern even if innocent people loose their lives,” he further said. During the meeting with the NAFEA representatives, who submitted a memorandum calling for security, PM Oli said that the government would book those involved in acts of terrorism. He also gave assurances of necessary arrangements for security. NAFEA, in its memorandum, said that the Chand-led CPN carried out a bomb blast at the home of NAFEA Chairman Gurung after he declined to give a donation to the party's youth wing. NAFEA, in a statement on Tuesday, said the Youth Organization of Nepal, a sister-wing of the Chand-led CPN, had demanded a donation . “…..the blast was carried out with an intention of terrorizing businesses and extorting money from them through such terror tactics,” NAFEA said in its statement hours after its delegation met the prime minister . During their meeting, the NAFEA representatives also urged PM Oli to provide compensation for the damage caused by the explosion and book the culprits. Although the blast didn't cause any casualty, it damaged Gurung's Land Cruiser parked on the ground floor, and parts of the house. 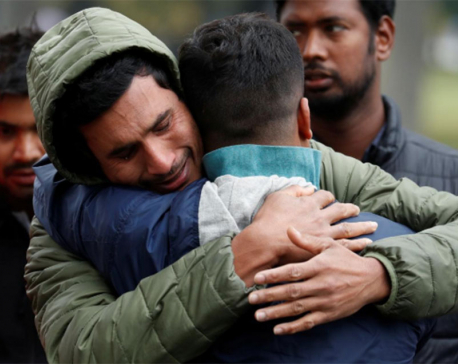 NAFEA's disclosure comes a day after Youth Organization of Nepal claimed responsibility for the attack, describing it as a 'warning' to manpower agencies. The organization tried to justify the attack by pointing to widespread exploitation and trafficking of migrant workers. The explosion at Gurung's home was the latest in a series of attacks targeting private businesses. Last month, the party carried out a series of bomb blasts targeting Ncell telecommunication towers across the nation and its corporate office in Lalitpur. The Lalitpur blast left one person dead and two others injured.